Follow Us On Spotify For Pink Martini Playlists! Have you heard? Pink Martini is on Spotify! That’s right — there’s now an official Pink Martini Spotify profile! This means we can create playlists and share our favorite music with the world. Over the course of the next few months we’ll be releasing a variety of different types of playlists for you to enjoy. There’s the “Thomas M. Lauderdale Playlist” series, in which you’ll hear some favorites from the collection of our beloved bandleader; “Heinz Secret Recipes”, in which we will showcase the vast musical tastes of members of our label, Heinz Records; and as a very special treat, “Pink Martini Original Inspirations”, in which we’ll list the original songs that acted as inspiration for some of the band’s top hits! There will be a public memorial service for Derek Rieth this Sunday, September 7, 2014, at 7:00 PM in Pioneer Square in Portland, OR. Please come join Derek’s family, friends, Pink Martini, The Lions of Batucada, Jorge Alabe, and the region’s sambistas as we play in tribute and share a moment to bid a fond farewell to our son, brother, colleague, and beloved friend. Please meet in the northwest corner of the Square, near Starbucks. The service will include a samba batucada procession as we walk from Pioneer Square to the riverfront. Feel free to bring percussion instruments and join in the celebration. We will help you find a part to play. If you are a sambista, please wear all white. 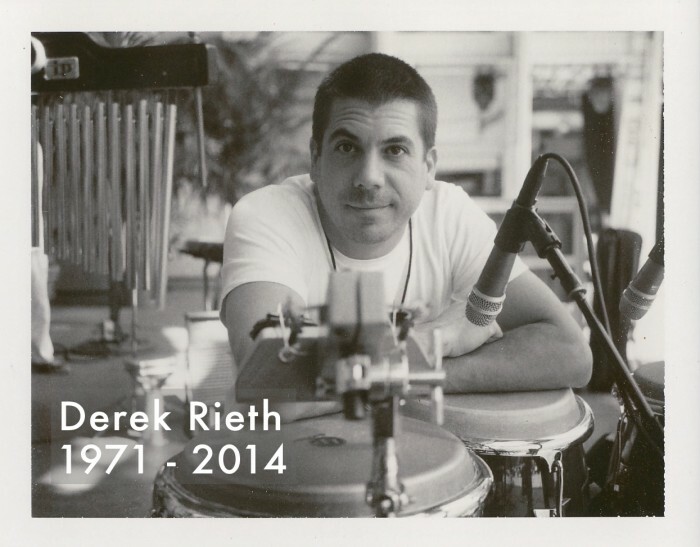 The service will also include an opportunity for you to learn more about the Derek Rieth Foundation, a memorial organization founded by Derek’s family to provide musical instruments and music education to underprivileged young people. With deepest sorrow we announce the passing of Derek Rieth, whose long struggle with bipolar disorder ended when he took his own life on Wednesday, August 20, 2014. Derek was a beloved son, brother, friend and colleague whose beautiful heart and passion for music touched thousands of lives. He will be deeply missed. A private memorial service for friends and family is planned for early September. Public tributes will be ongoing, and the family has also announced the creation of the Derek Rieth Foundation, to provide musical instruments and music education to underprivileged young people. Donations to the Derek Rieth Foundation can be sent care of Pink Martini. Special Alert: Paige Powell, a fifth-generation Oregonian and longtime supporter of Pink Martini, first caused a sensational stir in Portland, Oregon in the mid 1970s when she stood outside the Multnomah Athletic Club and demanded that women be given full voting membership. As Public Information Director of the Washington Park Zoo, she taught chimpanzees sign language and ran the innovative and wildly successful “Zoo Doo” campaign, selling cans of elephant poop as garden fertilizer by the truckload. 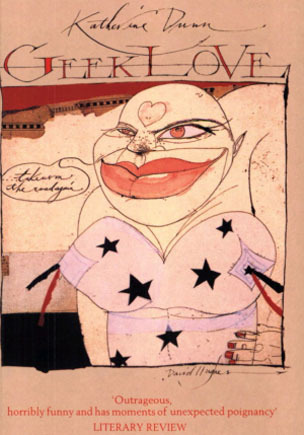 In 1980, she moved to New York City and became Andy Warhol’s best friend and right-hand person at Interview Magazine. She worked closely with Warhol on commissioned art projects and ran the magazine’s advertising, marketing, media and public relations departments. She was instrumental in the careers of numerous artists, including Jean-Michel Basquiat, Julio Galan and Stephen Sprouse, among others. Welcome back to Thomas Lauderdale’s Summer Reading List! This week’s selection is another nonfiction book all about our beloved hometown. 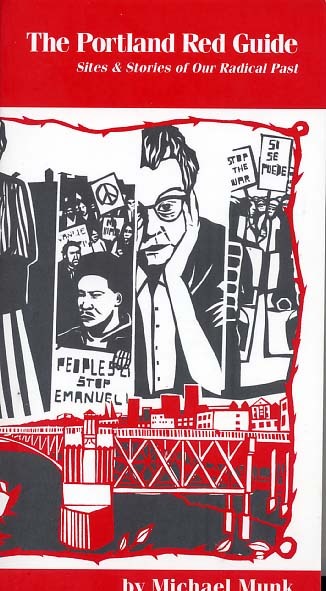 The Portland Red Guide: Sites and Stories of Our Radical Past by Michael Munk is full of fascinating facts all about the history of social dissent in Portland, linking local radicals, organizations, and their activities to physical sites in the city. But enough from us — take it away, Thomas!